New customers only. Extra winnings paid in cash. Max stake £10. Neteller & Skrill excluded. Additional terms apply. See www.grosvenorsport.com for full terms. Grosvenor, part of the Rank Group is probably more known as a casino brand, but don’t let that put you off. Despite being relatively new to the online sports betting world, their site is easy to use and is comparible with the majority of the big sports brands that you are probably more familiar with. It’s sleek design, wide range of sports and unlimited markets on their array of sports events is more than adequate for all punters alike, whether you’re a regular bettor or an infrequent flutterer. Grosvenor Sport have designed a rather unique offer for new sportsbook customers. Rather than the traditional free bet that we tend to feature on Free Bet Guide, Grosvenor offer you double the odds on your first bet, up to a maximum stake of £10. Their’s no limit to the maximum return you can get from this offer so we’d suggest you look for a selection at a bigger price to maximise the reward. We went with a 3/1 horse bet to try it out, and (unlike most other reviews we do) we actually managed to win! An extra £30 on our return. 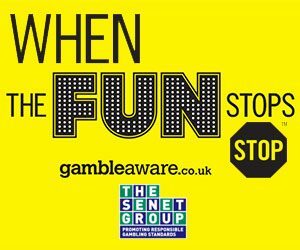 If you’re also a fan of casino gaming, Grosvenor will look after you with their wide range of casino games from multiple providers. We’d actually rank Grosvenor as one of the best sites for punters who enjoy a casino flutter to complement their sports activity. Just what you’d expect from a brand known for it’s casino heritage.